The reactionary, imperialist U.S. government is creating a new crisis for countries in Central and South America and the Caribbean. Part of it comes from Washington’s intention to end temporary protected status for hundreds of thousands of refugees who have fled civil war, state violence and natural disasters. TPS status allowed them to stay in this country due to the dire conditions they would face if forced to return to their homelands. The average length of time they have lived in the U.S. is 22 years, meaning they have put down roots that would be terribly painful and disruptive to sever. For instance, Hondurans living here under TPS have given birth to about 50,000 children, who automatically became citizens. Forcing their parents to leave would tear apart many families. Immigration rights groups say that ending TPS will affect 57,000 Hondurans. Already, 200,000 Salvadorans have had their status revoked, as have tens of thousands of Nicaraguans and Haitians. Once a person’s status is revoked, the time by which they have to leave varies by their country of origin. Actions by the U.S., including support for right-wing governments and military forces in the region, have made returning home terribly dangerous for many exiles. This is nothing new. Washington and the Pentagon have for over a century promoted right-wing dictatorships in the region that take their cut of the huge profits U.S. corporations reap from oil, other minerals and crops like bananas. Historically, Honduras has been under the heel of United Fruit Co., which morphed into United Brands and is now Chiquita Brands — all carrying out the same murderous exploitation of Honduran banana workers. “From our southern lands, the river of millions began to flow northward, and every year it increased. The United States became great while progress in Latin America was brought to a halt. And when anything or anyone tried to interfere with the bankers or the companies, use was made of the Marines. Panama, 1903. Nicaragua, 1909. Mexico and Haiti, 1914. Santo Domingo, 1916. How familiar this sounds! U.S. imperialism’s relations with most of Latin America have not changed since then. Washington is still subsidizing counterrevolutionaries in Venezuela and Nicaragua. Vice President Pence is calling for the Organization of American States to suspend Venezuela, while sabotaging their economy and telling the country not to hold upcoming elections. Honduras is in the grips of a violent, U.S.-supported regime that rigged the recent election and has unleashed terror against progressives, workers and the Indigenous peoples. 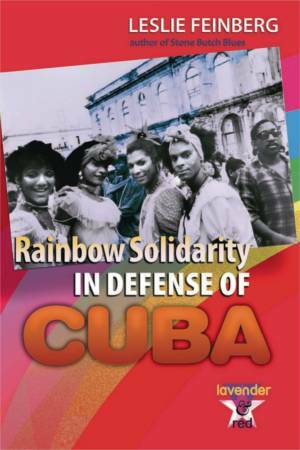 Only Cuba has been able to decisively defeat both internal and external counterrevolution, thanks to its socialist revolution that completely smashed the Batista dictatorship and built organs of people’s power. More than ever, for ourselves and for the millions of people suffering in the Americas, we must fight to expose and eradicate the insidious plots hatched by Wall Street profiteers and carried out by their attack dogs in Washington.